You guys loved it when we put these on Instagram that I thought it would be rude not to do a follow up article on them. 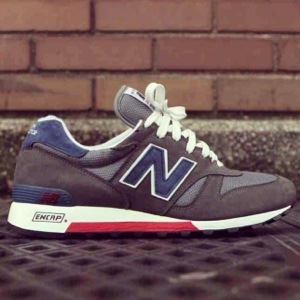 What can I say than New Balance are killing it at the minute, fresh designs and look keep this sneak looking fresh. And if price is a factor for you then these are considerably cheaper than the Max’s on the market. The design has the classic N on the side with subtle dark colours to complete the sneak. Good use of blue and red on this shoe. If you want to purchase a pair of these I have left a link below from a retailer who currently stocks them.